Fort Lauderdale, FL (January 16, 2019) – Ft. Lauderdale Partners Geoffrey Lottenberg and Stacy Schwartz will speak at an upcoming forum hosted by the Broward County Bar Association on Thursday, January 31 from 12:00 p.m. - 1:30 p.m. at the BCBA Conference Center. Their presentation, “Avoiding Unintentional Infringement” will discuss how to build your company’s website and brand without running afoul of copyright and intellectual property laws. In addition to this practical knowledge on how save your business from accidental IP violations, attendees may be eligible for a CLE credit. Mr. Lottenberg is a member of the Intellectual Property & Technology Practice. His practice focuses on intellectual property procurement and enforcement, business and technology law, and complex commercial litigation. 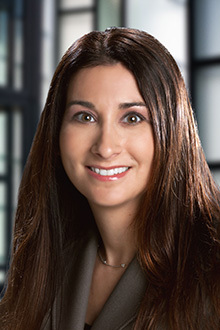 Ms. Schwartz practices Complex Business & Commercial Litigation and has experience consulting clients on obtaining, protecting and maintaining their intellectual property rights, prosecutes trademark applications. She frequently handles matters before the Trademark Trial and Appeal Board. Learn more and register for this event here.